The quality of our services is underpinned by a pool of consultants and subject matter experts who are qualified following CEN guidelines. The team of hand-picked experts working for PROMIS® is highly qualified and well established in their specific field of expertise. Richard Gowland graduated 1965 in Mechanical Engineering at the University of Durham, England. He is Technical Director of the European Process Safety Centre, which is an industry funded association dedicated to improving best practice in Process Safety in the Chemical, Oil and Gas industries. Richard Gowland graduated 1965 in Mechanical Engineering at the University of Durham, England. He is Technical Director of the European Process Safety Centre, which is an industry funded association dedicated to improving best practice in Process Safety in the Chemical, Oil and Gas industries.He also acts as an independent specialist in Chemical Process and Occupational Safety. In this role he sets up Safety Management Systems, carries out risk reviews using techniques such as Process Hazard Analysis, Hazard and Operability Study and Layer of Protection Analysis. He also provides public training courses on these topics. His main career history covers the Steel Industry, Microporous Polymers and a long career in Engineering, Project Management, Production Management, new technology introduction and Process Safety leadership in the Dow Chemical Company. Since retiring from Dow he has carried out major risk reviews and Safety Management projects in the gas and mining chemicals industries in addition to regular specialist work on risk for Small and Medium Enterprises. Awarded the Institution of Chemical Engineers Franklin medal for Inherently Safer Process Design. Award for collaboration to produce Dow company policy on Safety Instrumented Systems. Received the Ph.D. degree from the Technical University of Dresden, Germany, and the habilitation from the Technical University of Berlin, Germany, in 1996. Until her appointment as Chair for Product Safety and Quality at the University of Wuppertal, Germany, in 1999 she was head engineer at the Chair of Environmentally Industrial Engineering at the Technical University Cottbus, Germany. 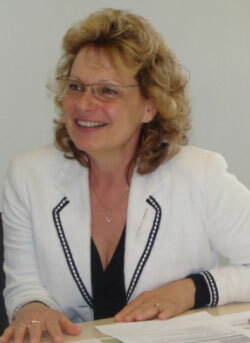 Petra Winzer received the Ph.D. degree from the Technical University of Dresden, Germany, and the habilitation from the Technical University of Berlin, Germany, in 1996. Until her appointment as Chair for Product Safety and Quality at the University of Wuppertal, Germany, in 1999 she was head engineer at the Chair of Environmentally Industrial Engineering at the Technical University Cottbus, Germany. Her current research fields are system engineering, management systems, quality and sustainable development management. 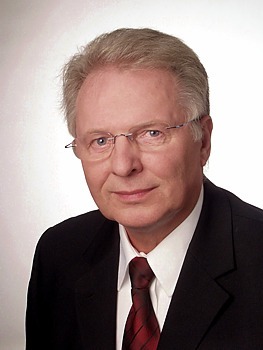 Dr. Winzer has been a member of German Academy of Science and Engineering (acatec) since 2007 and prorector for transfer and internationality at the University of Wuppertal since 2008.
prorector for transfer and internationality at the University of Wuppertal since 2008. 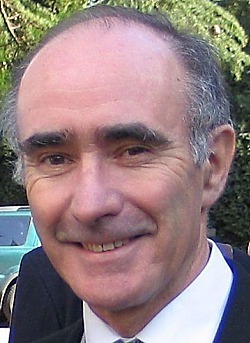 André PIRLET is a standardization expert. He graduated as Engineer from the Liège University (Belgium) in 1977 and got also a MSc from Oregon State University (USA). 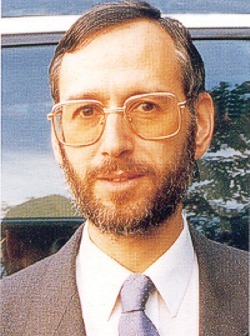 He worked for many years in CEN, the European Committee for Standardization (www.cen.eu) on various Projects (gas supply and gas appliances, explosive atmospheres, power engineering, certification, metrology) but was mainly involved in reinforcing the links and cooperation between Standardisation and Research. André Pirlet coordinated for CEN the input in the “dedicated calls” of FP4 and FP5, with the European programme Standards, Measurements and Testing. He initiated the launching in CEN of the standardization for humanitarian demining, and helped to develop new areas (electrical vehicles, nuclear energy), also through several “Trends Analysis Workshops”, which resulted for example in the Technical Committee for Nanotechnology. Since 2002 he has participated actively in several research projects (manly Security, Transport, Food and Environment) in order to foster standardization activities in new areas. He developed (within CEN/STAR) the methodology of the “integrated approach” for more efficiency for reaching ambitious objectives, with long lasting benefits. André PIRLET is married, has 4 children, and is Reserve Officer (Major) in the Belgian Air Force. 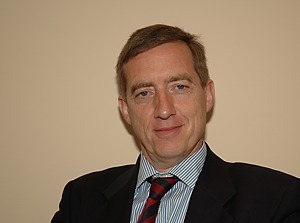 Klaus Scheuermann holds a Doctor‘s degree in Mechanical Engineering at the Rheinisch-Westfälische Technische Hochschule Aachen. education and training experience of inspectors and safety engineers and other experts in the field of occupational health and safety as well as activities as OHS Management Systems Auditor (DGQ). His duties include also the Chairmanship of several technical committees and working groups from ISO and CEN in the field of Ergonomics and Safety of Machinery, as well as in the technical group of the EU General Direction V “Health and Safety at Workplaces”. Stephen Singer gained a Master’s degree in Law from Cambridge University and spent 2 years lecturing at the University of Aston in Birmingham before starting a 13-year career in the travel industry. He set up his own consultancy in 1995, focusing on the documentation and streamlining of business processes. He subsequently qualified as an auditor of ISO 9001 Quality Management Systems and combined consultancy work with subcontract auditing for UKAS-accredited certification bodies. An IRCA-registered Lead Auditor, Associate of the Chartered Quality Institute and Member of the Institute of Business Consulting, Stephen currently sits on the CQI Standards Development Group as well as contributing to the CEN Workshop on Guidelines for the Selection of Consultants advising SMEs on Integrated Management Systems (CEN/WS41). Nadine Schlüter received the degree in logistics at University of Dortmund, Dortmund, Germany, in 2006 and the Ph.D. degree from the University of Wuppertal, Wuppertal, Germany, in 2012. She works on several projects in the areas of customer satisfaction, requirement management and quality engineering and is teaching lessons for the Master of Quality Engineering at the University of Wuppertal. 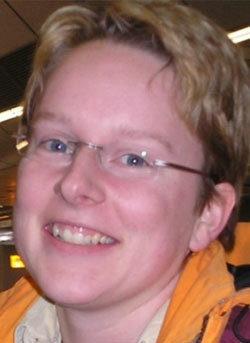 assistant chief in the Ruhr-Area group of the German Society for Quality (DGQ) since 2012. Best Oral Presentation Award at the QMOD conference 2011, Spain.